I had to! 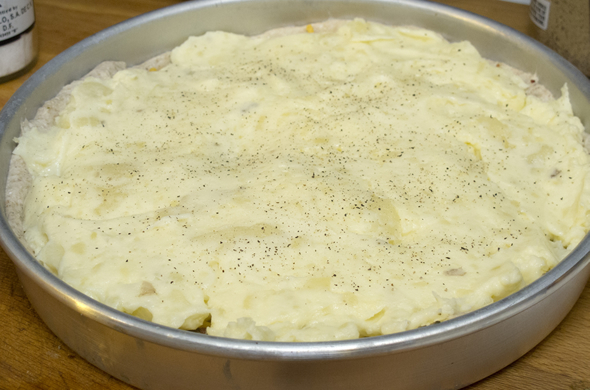 I’ve been remembering the Pizzaria Uno’s “Pizza Skins” aka deep dish pizza with mashed potatoes and all the fixings ever since I first made a sliced potato pizza last year. All my stars aligned when I was thinking what I could make for dinner without having to grocery shop. I live to avoid grocery shopping. I had a frozen ball of dough, a scant amount of cheddar cheese, a bag of potatoes, and of course I always have bacon! 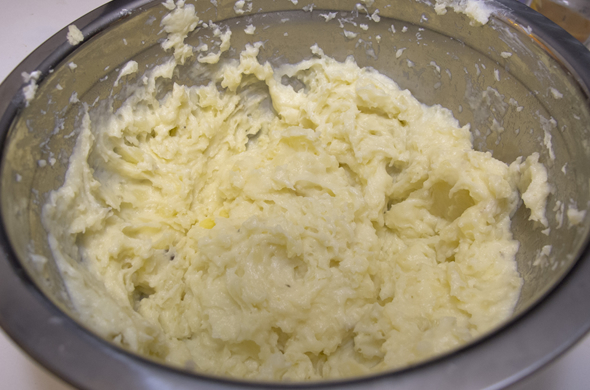 Prepare mashed potatoes (I mix mine with butter and cream cheese and I left some chunks). 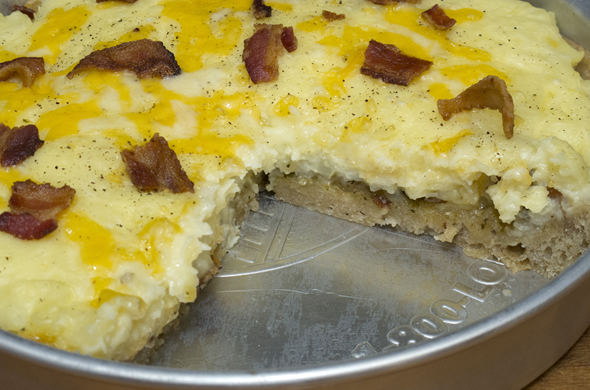 Layer with half the cheddar cheese and half the bacon. 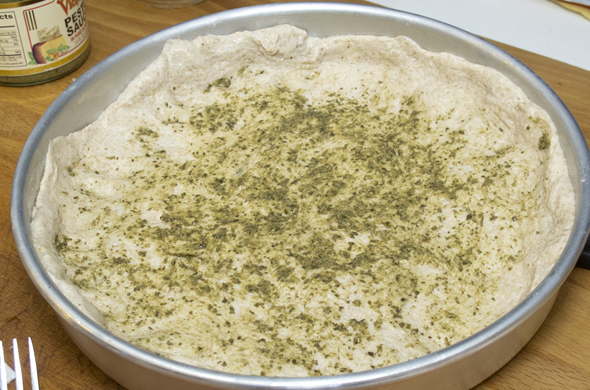 Bake for 40 minutes until edges of dough are crisping. 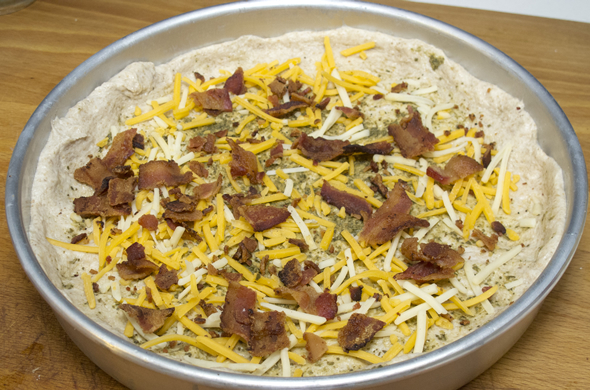 Immediately after removing from oven, top with remaining cheese and bacon. I liked this one. 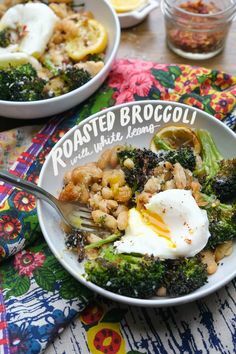 I thought it was fun and different with comforting flavors. I would have used more cheese if I had it. Sour cream, ranch dressing, or scallions would have been fun additions as well. Since Mr. J and I would easily consume more bacon than our bodies neeeeeed, I freeze it in 2 strip packets (2 strips = 1 serving) and usually label it as maple, thick cut, etc. If I don’t, a lot seems to disappear between the pan and our plates. Unfortunately I hadn’t labeled my bacon so it was a gamble coming out of the freezer and turns out it was maple. That made it a tiny bit weird. Whatev…we ate it anyway. 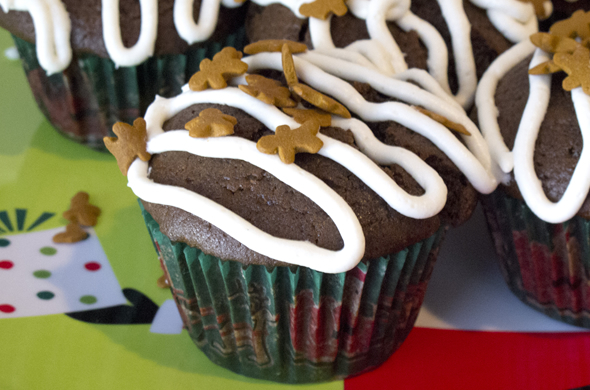 You could make itty bitty ones in muffin tins for single size portions! These would be so cute for a tailgating party etc. You could also stretch it a lot further if you made a regular flat pizza, rather than a deep dish. 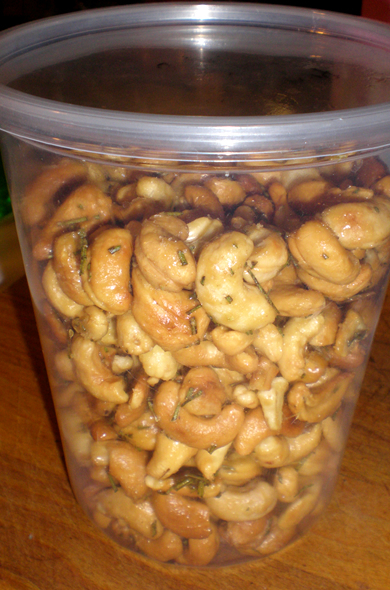 I made some dressed up cashews last summer but didn’t blog ‘em. 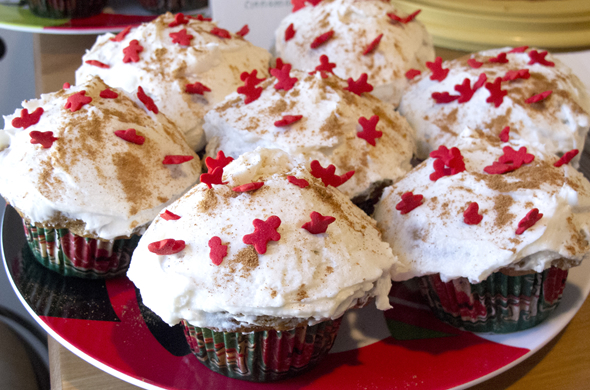 They were gone really quickly and I knew I had to make them again. I added them to my fall list and made some to bring to one of my Thanksgivings. 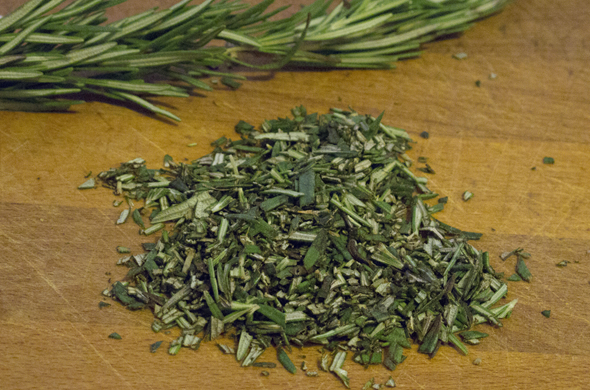 They’re sweet and salty and the rosemary makes it woodsy. 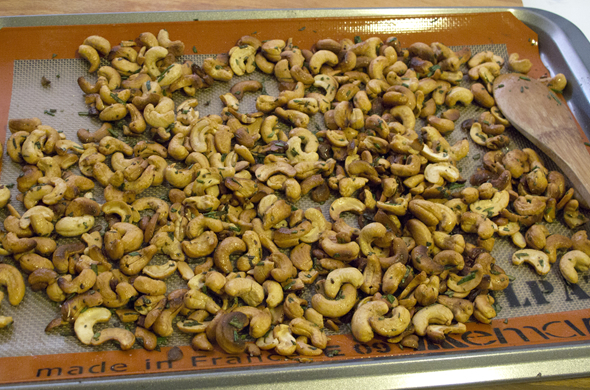 Roast cashews for about 3 minutes until nuts have warmed through at 375 degrees. 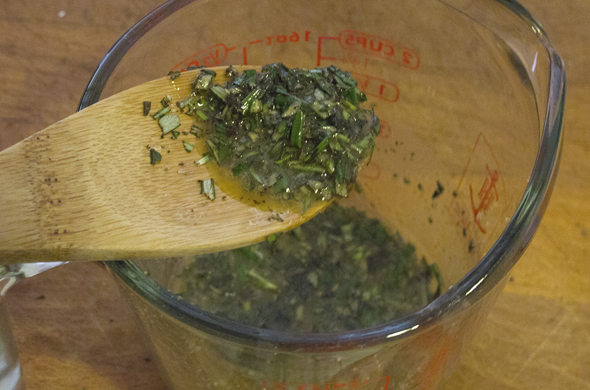 Mix chopped rosemary with melted butter and add salt. 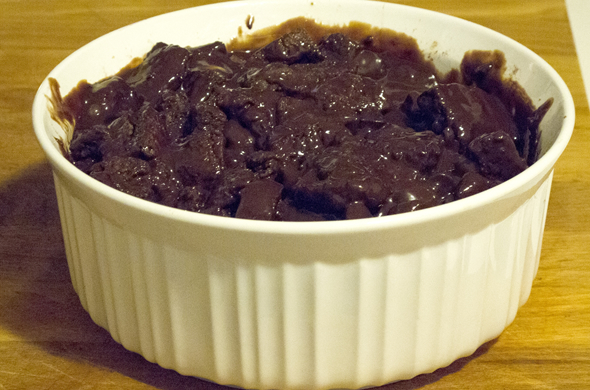 Stir until well coated and return to oven for 5-7 minutes, stirring occasionally (not 10 minutes like I did). 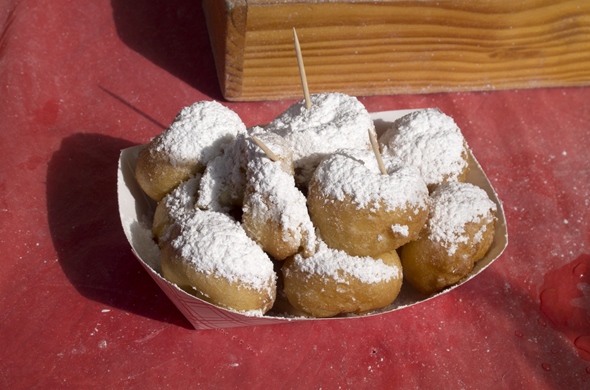 Make these and watch the disappearing act. As you know, I’m not really a baker. This is a fool-proof dessert that will really wow everyone. 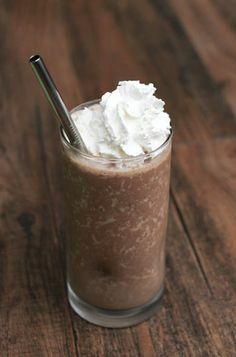 It’s really rich and chocolaty. 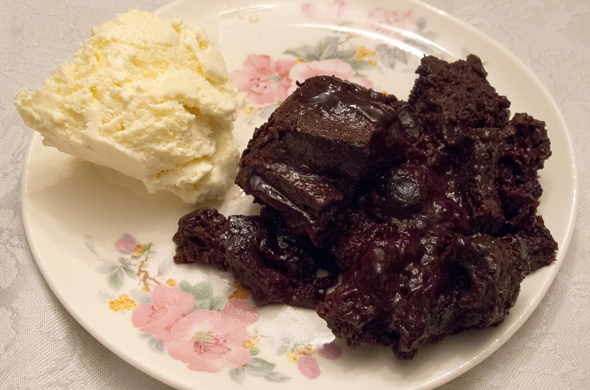 The cherries add a nice touch without too much of a chocolate and fruit combo. 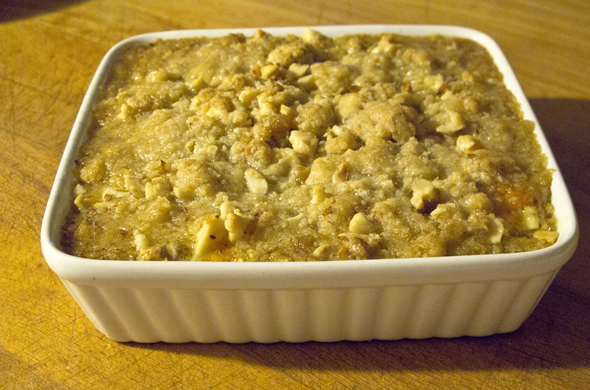 Mix bread chunks with with melted butter in a 9×9 baking pan. 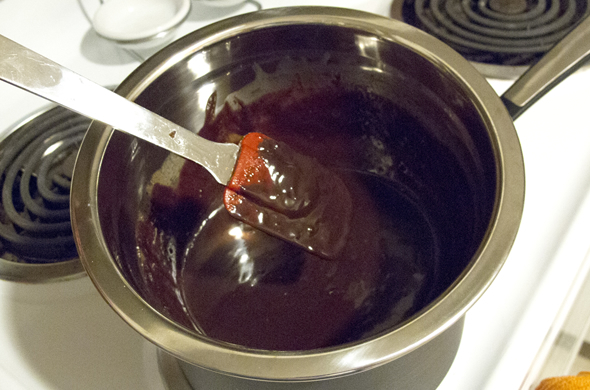 In a double boiler, melt 1 cup of the chocolate chips with sugar and whipping cream. 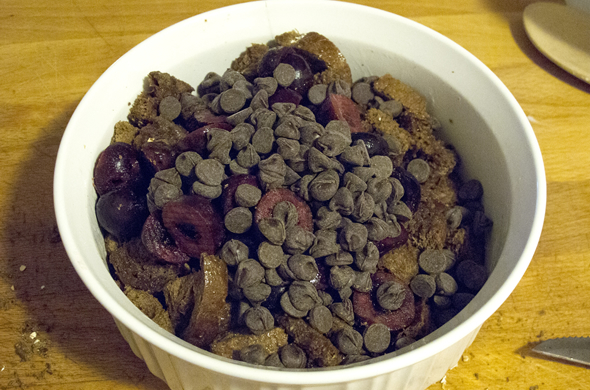 Sprinkle the remaining chips and the cherries in with the bread chunks. 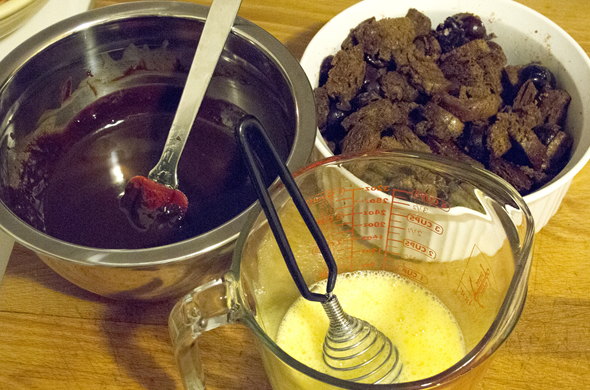 Remove chocolate from heat and slowly mix eggs into the chocolate/cream mixture. Pour over bread and cheeries in the baking dish. Let sit in the fridge for 2 hours or overnight. Bake 60 minutes at 350-degrees until the center has set. 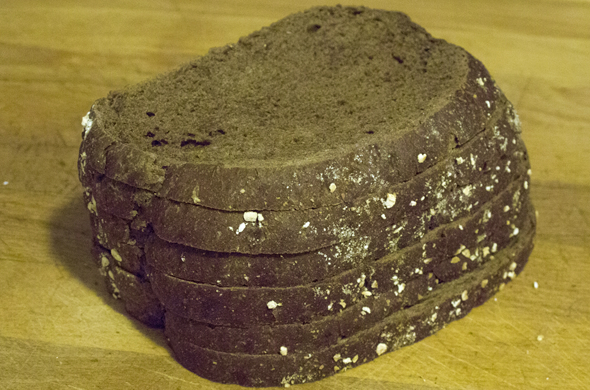 Fun fact: pumpernickel bread has cocoa in it! Who knew? I didn’t for awhile but when you think about it, cocoa isn’t sweet on it’s own. If you are serving extremely picky eaters I would leave that fun fact until after they’ve tried it. This is an easy make-ahead dessert. I don’t even think you can over cook it! You can definitely add more bread and more eggs/cream in proportion. 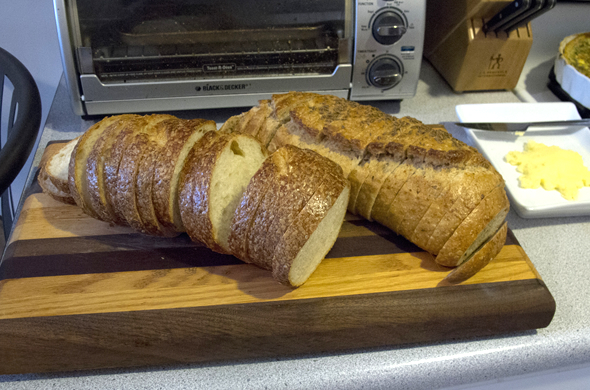 There should be enough liquid that the bread only peeks out but everything is covered. 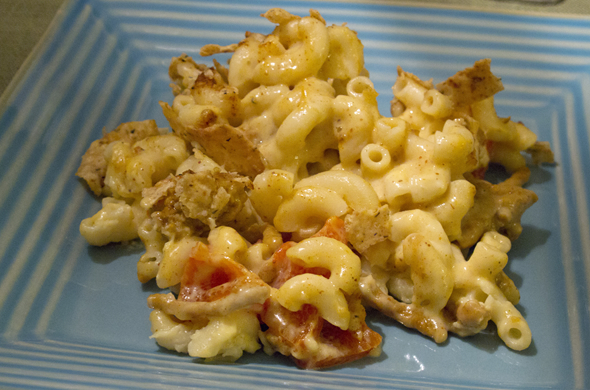 Last year for my birthday I made Mexican Mac & Cheese and it was such a hit at the taste-off. That was wayyy too much mac and cheese so I took a break from any for awhile. If you need a non-holiday meal this is perfect! This one is special. 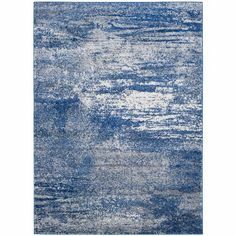 It isn’t traditional which is also why it is so good. Ohh I love it…everyone else does too. 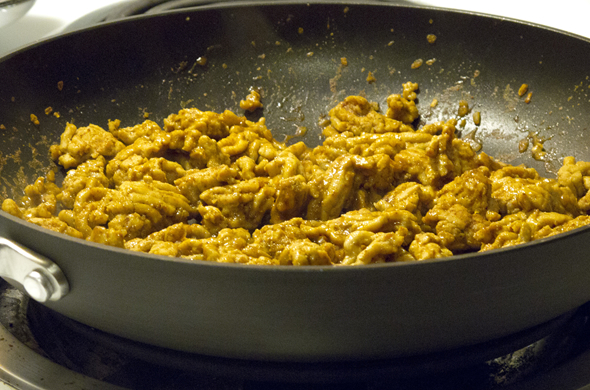 Brown the ground turkey with taco seasoning while water is boiling for the pasta. 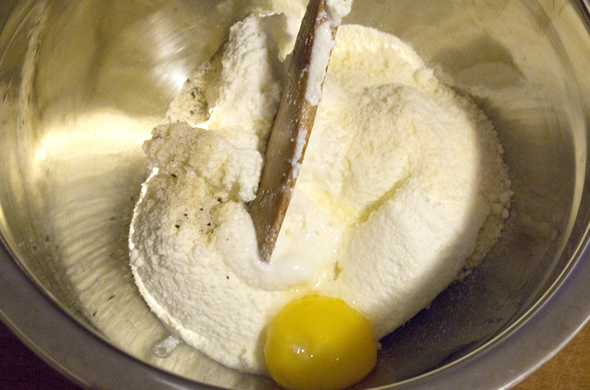 Melt butter over medium low heat and add flour to get a roux going. Slowly add milk stirring constantly until well incorporated. Turn to low and add cheese. When pasta is just barely soft, remove from the water and add it to a baking dish. 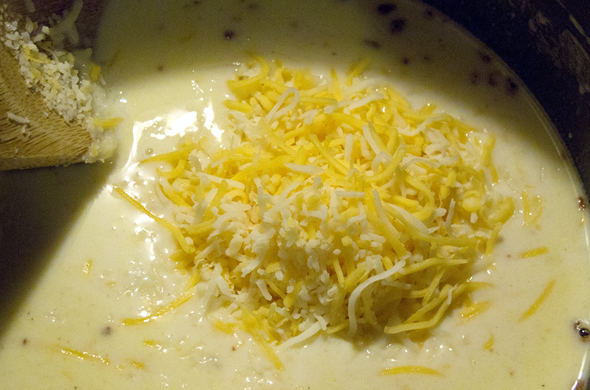 Mix the egg yolk in and then the cheese sauce. 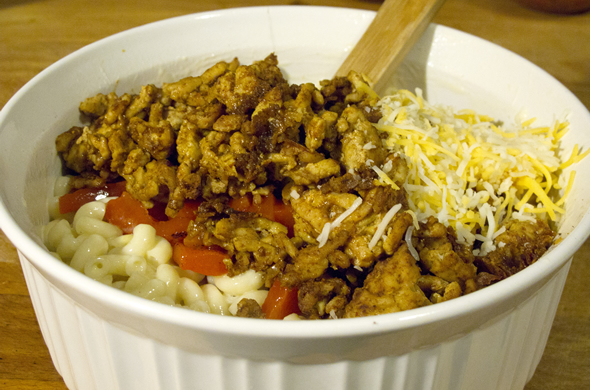 Add ground turkey, roasted red peppers, remaining cheese and mix. Dot with salsa but don’t mix salsa through. 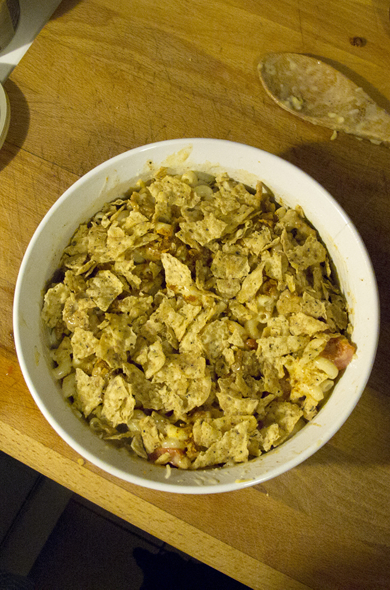 Top with crumbled tortilla chips and bake for 20 minutes at 375 degrees. 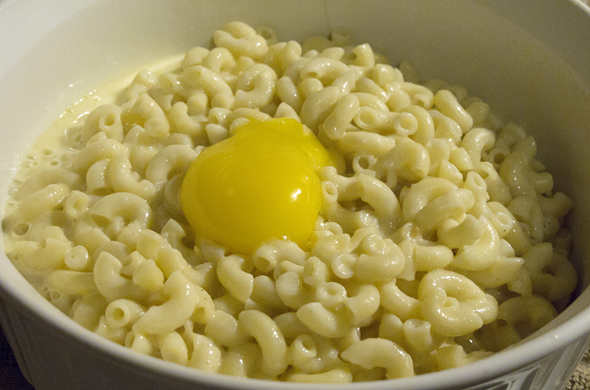 This mac and cheese is creamy and has really great flavor. I sprinkle more taco seasoning on the top before topping with chips. 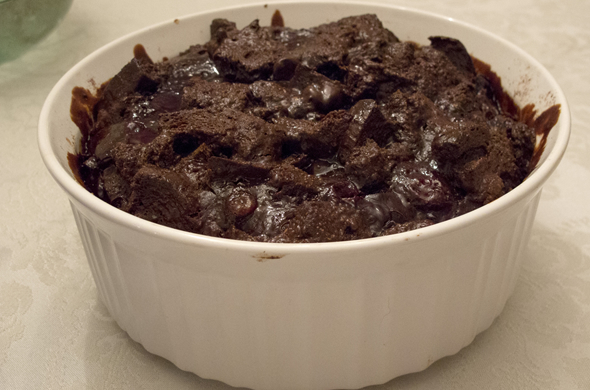 It’s kind of a casserole and it is such a winner. Green onions would be good and jalapenos if you wanted some spice. I think I threw in some leftover black beans once for color. 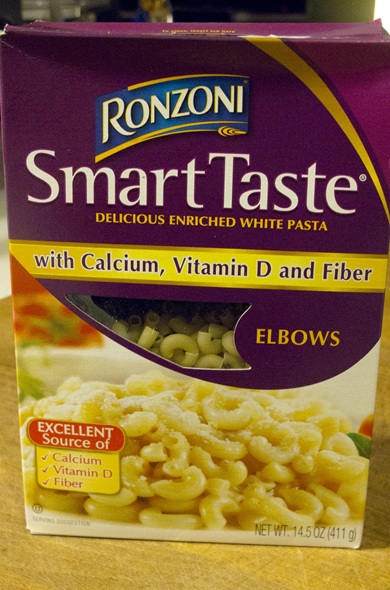 I use these smart choice noodles. They only come in 3 shapes (elbows, penne, & rotini) but they’re better than regular dried pasta since wheat pasta just isn’t the same. I thought you might need some eye candy on this Monday. Feast on this! I went to a brunch hosted by some fun ladies and I have to say, I was totally impressed. Not that I expected anything less from these gals who host some pretty rockin’ parties, but this was one for the lesson books. I think everyone can take some brunch pointers from them. It was so convenient that they had a brunch. At a time of year where there are get-togethers and cocktail parties all the time the brunch was really refreshing and fit into my schedule perfectly. Now, onto the lesson! Rule 1: Choose quality products. They had some high quality bread by the toaster rather than the expected bagels. 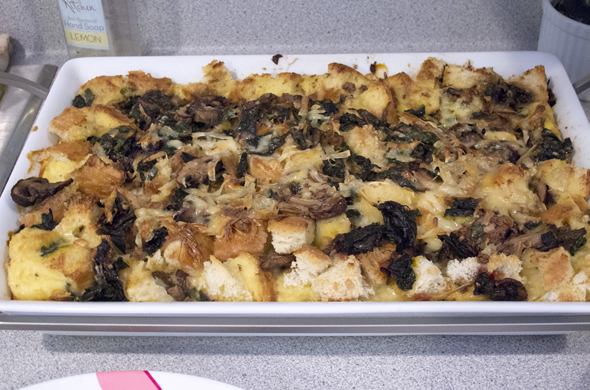 This strata had gruyere, mushrooms, and spinach. Wonderful choice of interesting ingredients! Rule 2: Know your strengths/Use what you have. 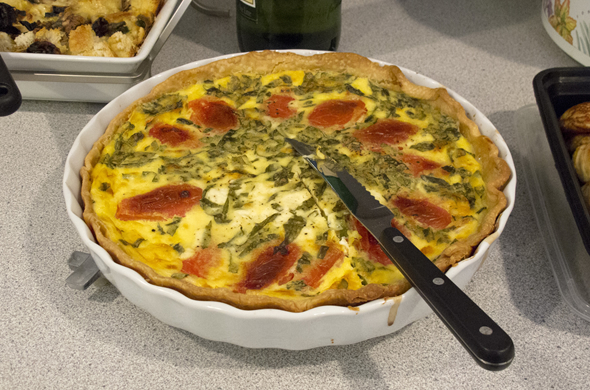 If you make fantastic quiches all the time, why not serve ‘em? This one is tomato, basil, goat cheese and is delectable! One of these ladies bakes regularly whipped up bakery-quality muffins and frosted them. Call in an expert to make their specialty dish. 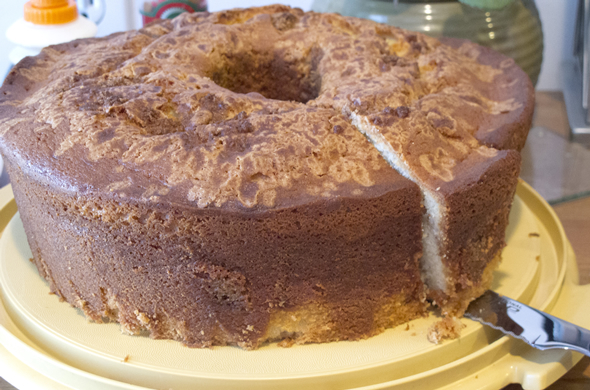 If you’ve ever had Mrs. P’s coffee cake you’d know what I was talkin’ about. Rule 3: Concentrate on a few special (yet do-able) distinctive touches. What a fun treat for a non-breakfast person? Also a beverage option for anyone not wanting to spike their cocoa/coffee. I missed photos of the bacon, tator tots, and ham and egg in a crockpot. See what I told ya about their variety!?! P.S. 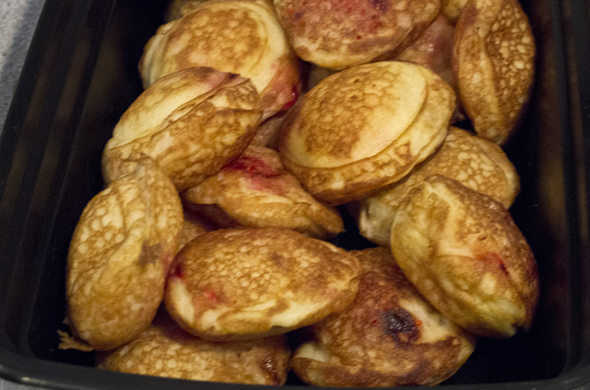 I brought some ebilskiver with candycane centers! 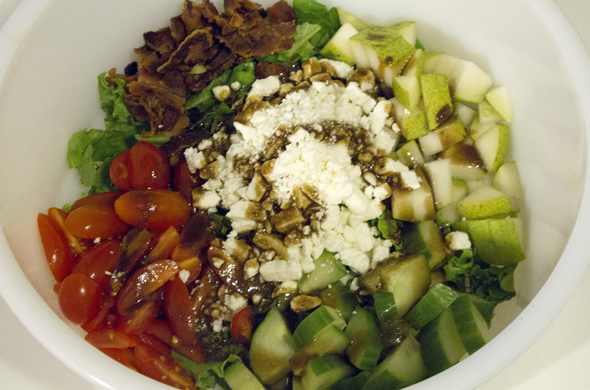 I rarely make interesting salads so you wouldn’t have seen them. Lettuce is my least favorite part of a salad. Give me the fun stuff! 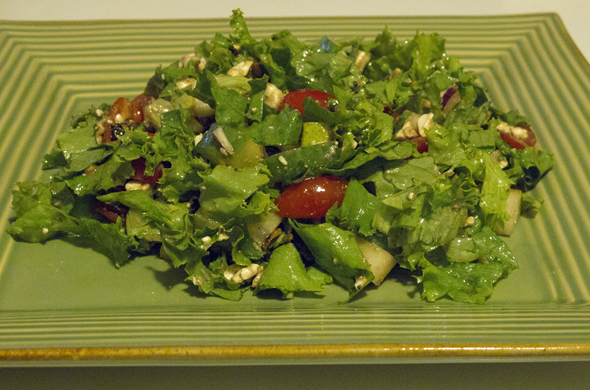 At age 7 my sis horrified my aunt by saying she only liked salad for the dressing. 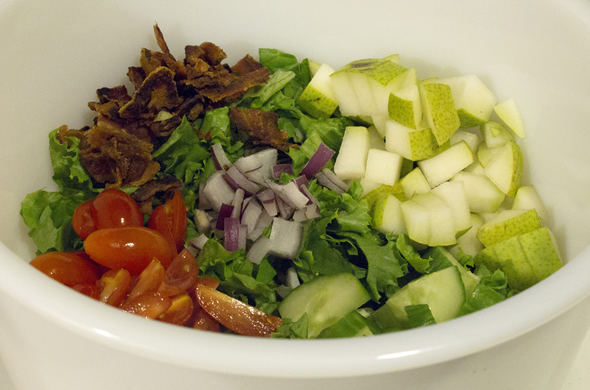 It’s the heavy stuff at the salad bar that makes it good. Sorry for my poor choice of plate color! While bacon is cooking, chop all the veggies. Whisk vinegar, oil, and mustard (or shake in a jar). Seriously, I know you don’t need instructions. I think sometimes it’s easier to make your shopping list for this one if it’s written down! The original has dried cranberries but I was thinking I wanted more savory and the pear was my sweet bit. Goat cheese could easily replace feta but I prefer feta. I didn’t put chicken in but some recipes do. Chopping everything takes the longest when prepping this but it is worth it. 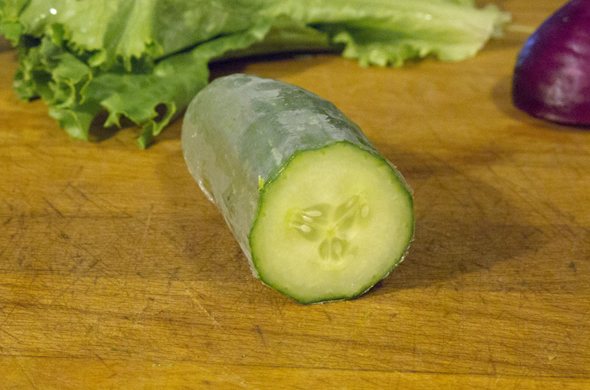 I chose English cucumber because you can eat the peel without the bitterness and the have fewer seeds so it doesn’t make salad as soggy as regular cukes. I also always chose grape tomatoes because I like their sweetness and they stay fresher longer. They also are never as disappointingly mealy. Charleston, SC was awesome. I love cities that feel like my own and I LOVE going places that just feel so different. 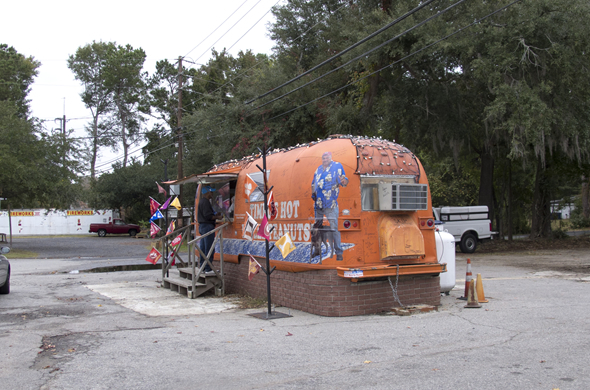 Charleston definitely felt like we were away and exploring somewhere different.Sis and I discovered boiled peanuts. I’ve never seen such a thing! We got them from a crazy stand on the side of the road. Yes, we ate something that came from this hut. 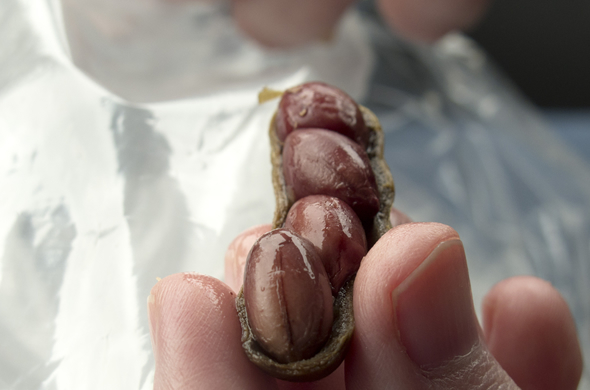 The peanuts were soft and squishy and super salty! They came in flavors of regular, ham, or cajun. I liked them but sis wasn’t impressed. They “double bag ‘em” as the guy told me so we could drop the shells inbetween the two bags. He also gave us paper towels for our hands. How thoughtful! We also stopped by a farmer’s market that was really cute. The produce was beautiful. 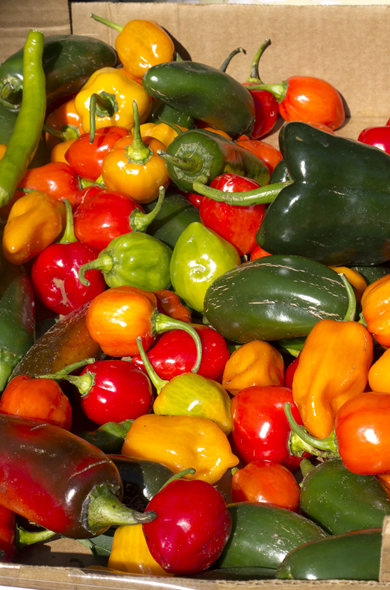 Check out the peppers! 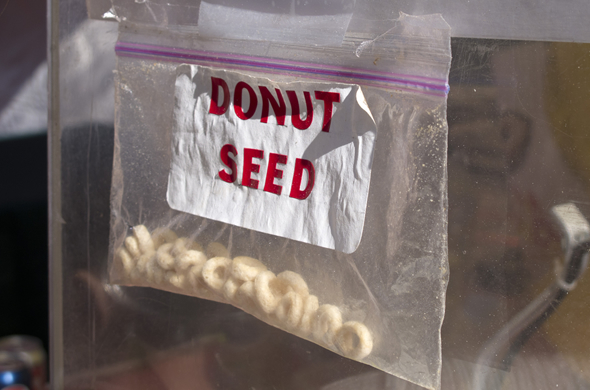 We couldn’t resist the mini doughnuts. They even show you how them make them. I breakfasted one day on biscuits and gravy. Ohh wow. 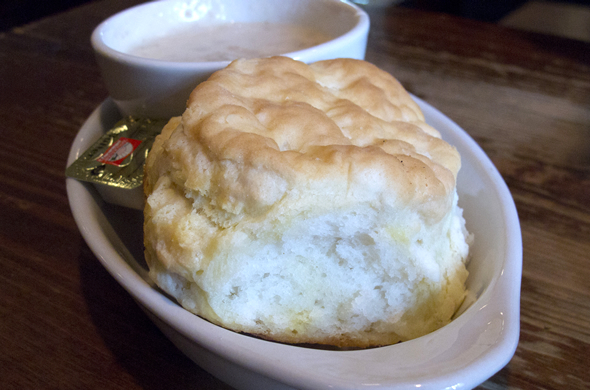 This biscuit was colossal and was pretty impressive. I rounded it out with a fruit parfait but that wasn’t as exciting. 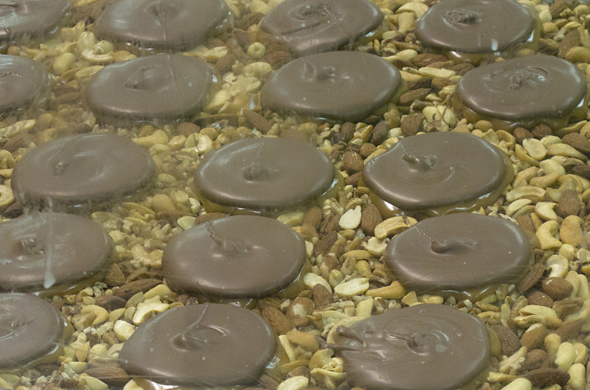 These cashew turtles brought me back to my high school job working at a gourmet candy store. 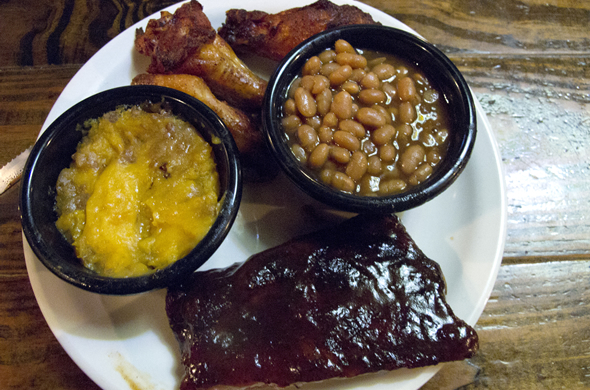 We had barbecue at Sticky Fingers. 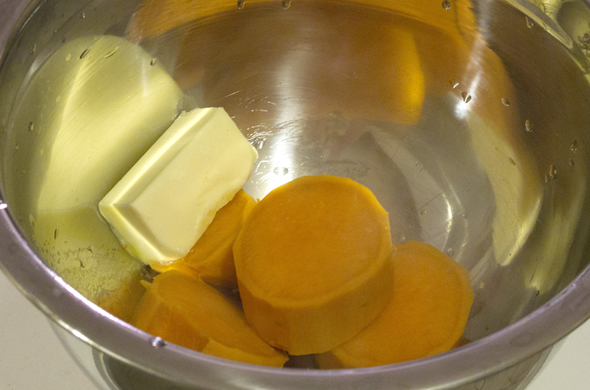 The sweet potato puree was my inspiration for my own sweet potato puree! The smoked wings were amazing. We had a great time in Charleston! I went to Charleston, SC to celebrate my favorite sister’s 30th birthday. These posts are wayy overdue but you know how it is. One day it’s a beautiful early fall day and the next a turkey is on the table! I did my research before we went as in I perused menus and took a gander at historical sites. 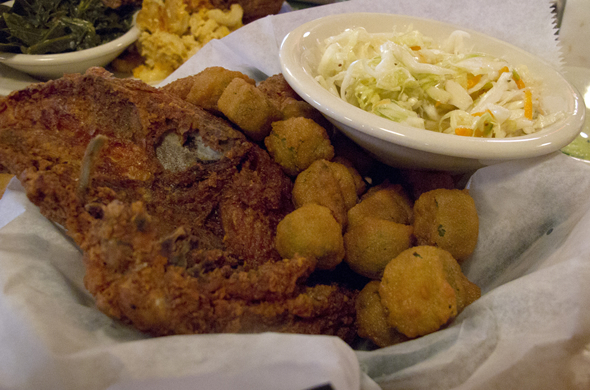 I actually included a list of foods we had to eat in the south including: fried chicken, fried pickles, grits, fried green tomatoes, dirty rice, and bbq. I have to say we did a pretty good job.For her birthday we enjoyed a totally memorable meal of fried chicken. Finger lickin’ good. 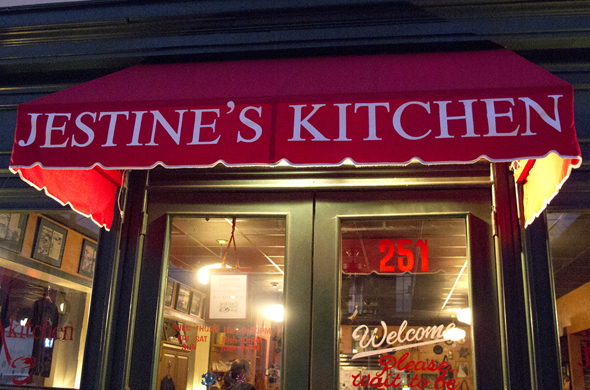 We went to Jestine’s Kitchen and loved every bite. 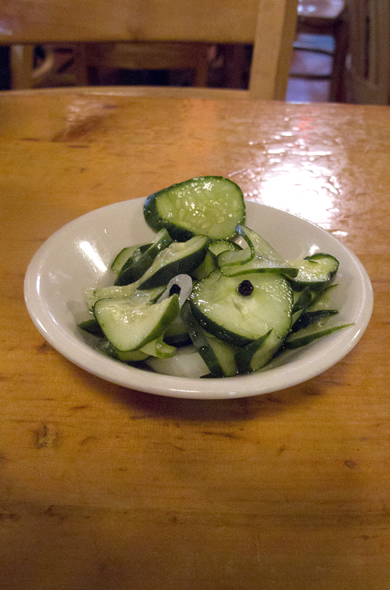 They brought some homemade pickles to get us started. Yum! Totally tart and crunchy. I love when people give me pickles! 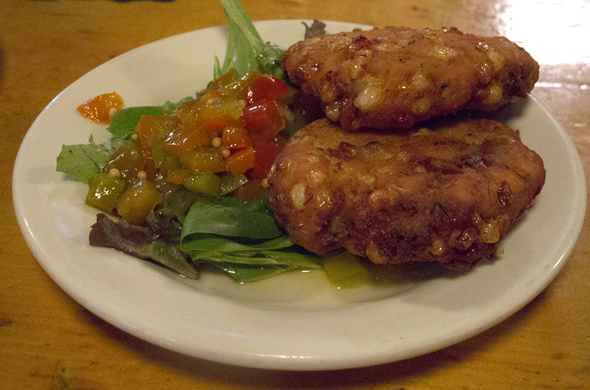 Then we got an order of corn fritters. 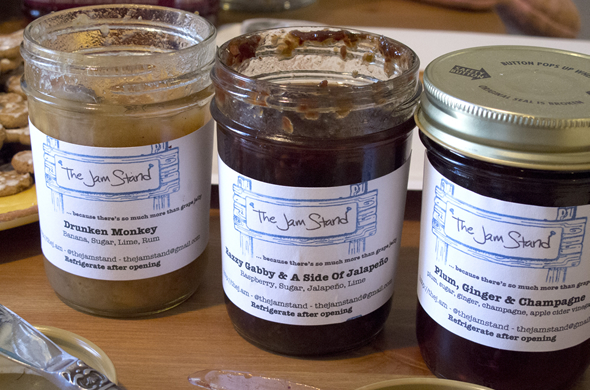 They were more filler than corn but they were good…especially with the spicy compote. I got the fried chicken basket which meant I got 2 pieces of chicken, a side, and slaw. I chose fried okra because fried + fried = delicious. It was so good! I’ve only ever had pickled okra but even that is rare and not something you see in the north. This was the best fried chicken I’ve ever had. 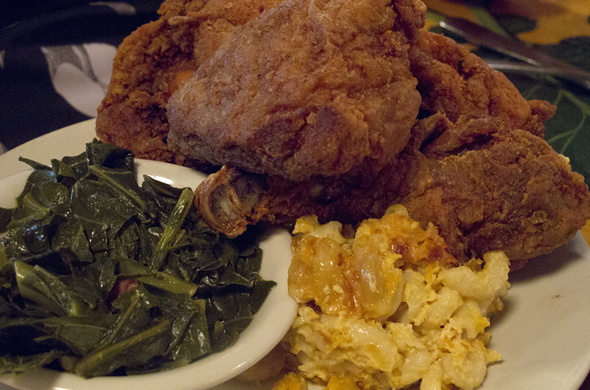 Sis got the fried chicken plate with collards and mac & cheese. It was all really good and was wayyy too much. The atmosphere was really nice. I liked how casual it was. It felt homey and friendly. There was a line around the corner when we left.Pssst! I have some tastes of the south coming up as well so stay tuned! I’m sure you’ve been wondering about my fall potluck sweet potato dish that I referenced what feels like forever ago. 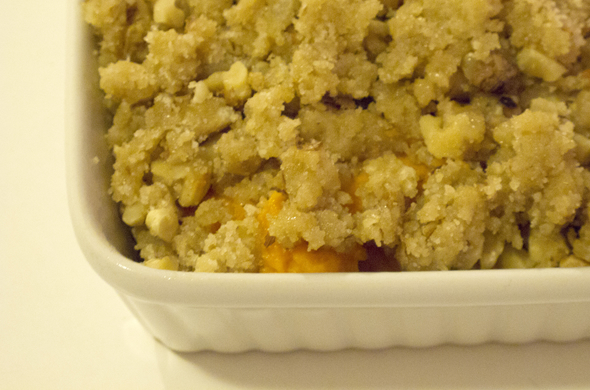 I made a small batch using just 1 sweet potato but my recipe would feed about 8 as a side dish. I hope to make it for one of my holidays meals coming up. 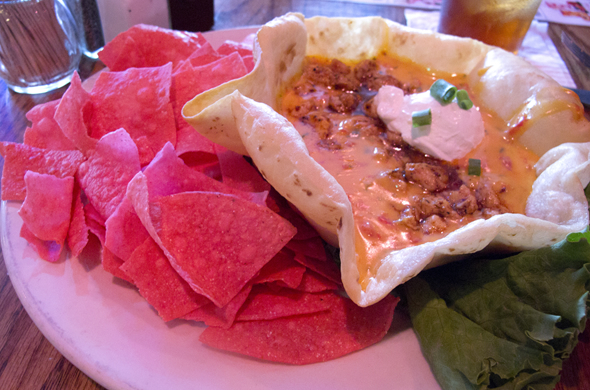 All the butter in this makes it so good…Paula Deen would approve. 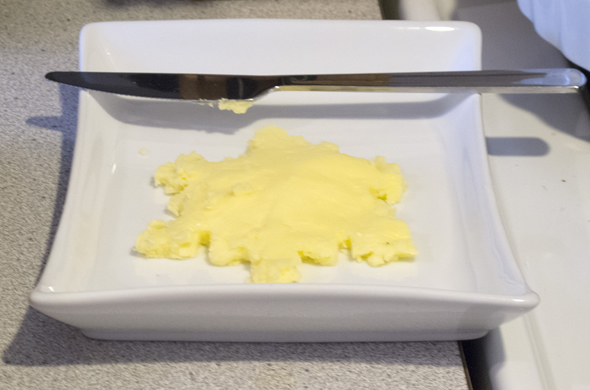 Personally, I wouldn’t scrimp on the quantitiy but I’m sure butter/margarine substitutes would work just fine. 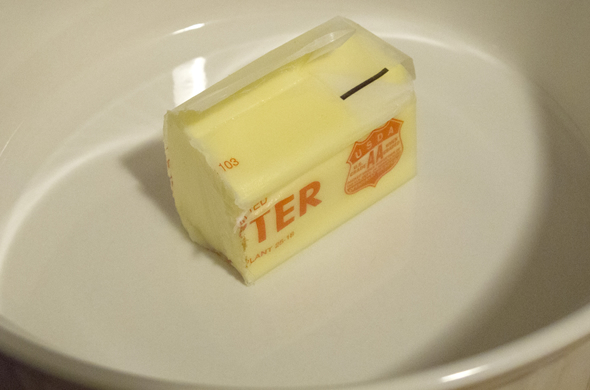 I figured I’d use actual butter since there were so few ingredients. Boil peeled potatoes until cooked all the way through. 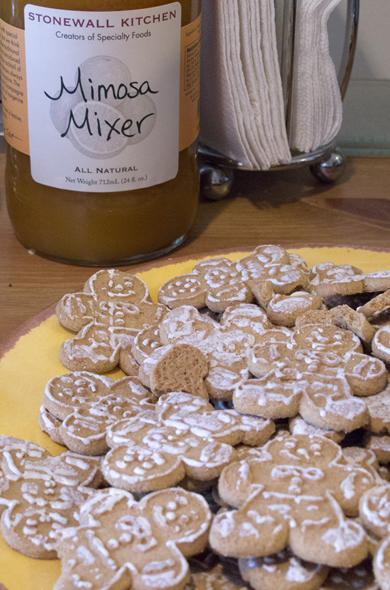 Mix sugars, flour, pumpkin pie spice, and 1 stick of butter until crumbly. 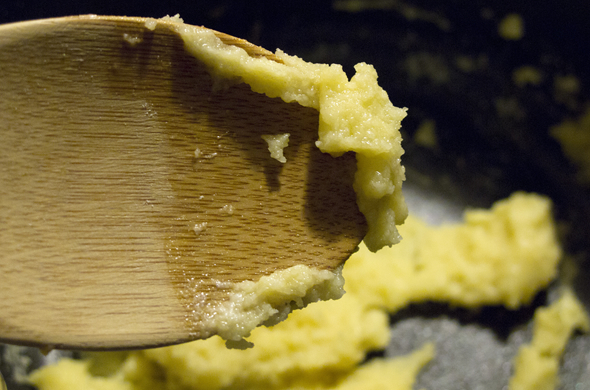 Puree potatoes with ½ stick of butter until no lumps remain. 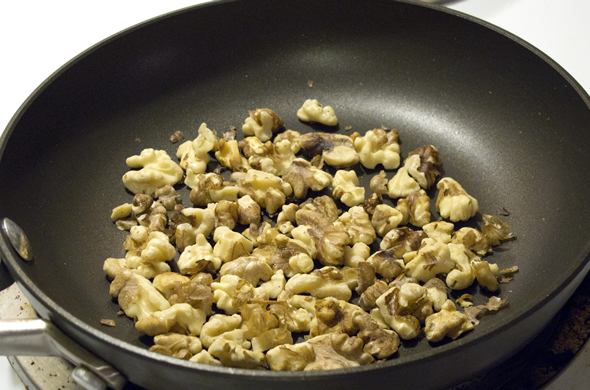 Roast nuts in a skillet on medium for about 5 minutes and add to crumb topping mix. 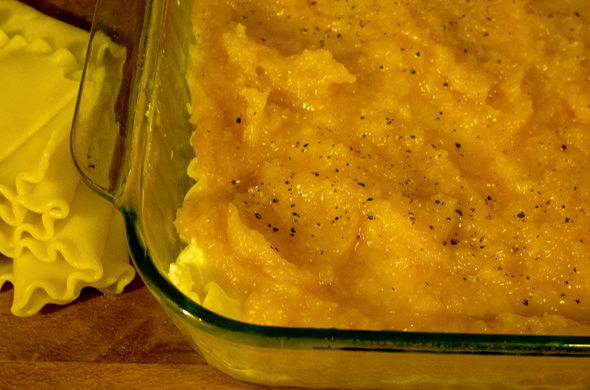 Transfer potato puree into a baking dish. 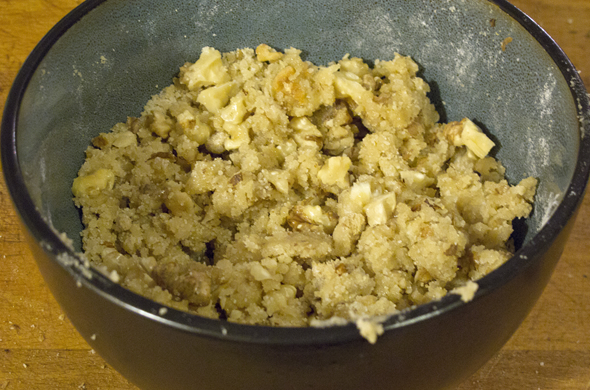 Top with streusel crumbly topping and bake for 30-40 minutes until golden and crisp. This was awesome! It felt like baking and it still came out great! This sweet potato dish feels like it could be dessert, but that’s kind of the norm with sweet potatoes. I made a lot of topping because I like the texture combinations but making less would lighten this one up. I loved how rich and sweet it was. 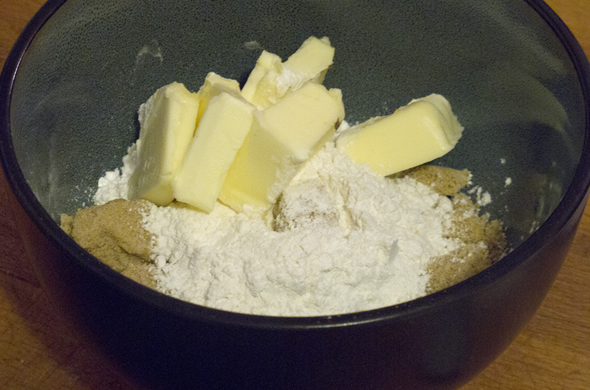 The topping gets too powdery if the butter is melted or too warm. You’re going for hunk o chunks of butter. Mmmm. So easy and it traveled well! I reheated the leftovers after the potluck and had it for lunch another day. I ate this at bookclub one night and was so impressed. I wanted to make it immediately. Martha sure knows what she’s doing. 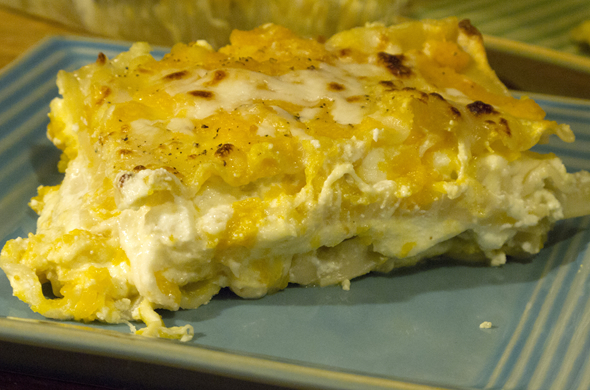 This is a great recipe and cooks so much faster than regular Italian lasagna. 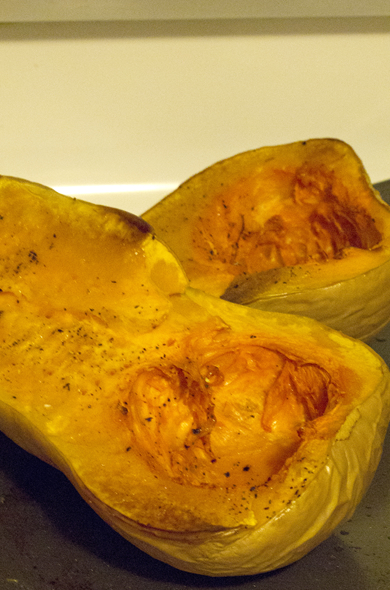 Roast butternut squash with olive oil, salt, and pepper for about 30 minutes at 425 degrees. 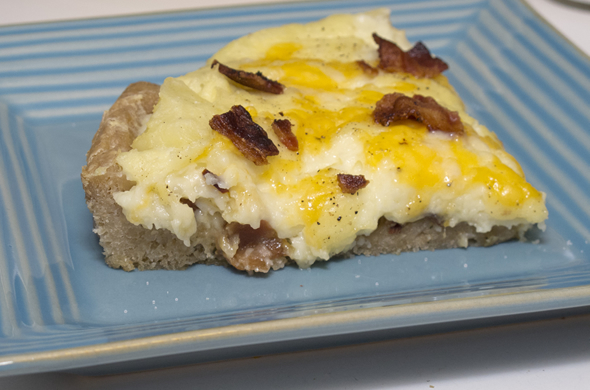 Combine ricotta, cream cheese, egg yolk, and ¼ cup Parmesan cheese. Mix squash and chicken stock over medium low heat. 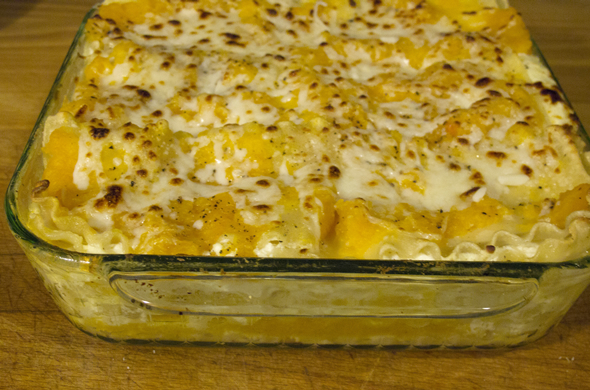 To assemble lasagna: spread noodles on the bottom of a 9×9 baking pan; top with ricotta mixture and some cheese; layer more noodles; top with butternut squash mixture. Repeat laying noodles then ricotta and cheese, then noodles, then squash and repeating until all the layers are used. Sprinkle some cheese on top. Bake 30 minutes at 375. Mr. J LOVED this. 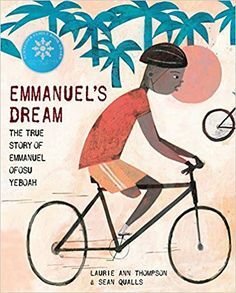 I tried not to hype it up too much since that can end in disapointment but this was really great. I roasted the squash the night before to save some time too. I tried to be really careful not to overcook the noodles. I was afraid everything would be too mushy so I also tried to leave some lumps with the squash. I spread a little pre-made alfredo sauce on the bottom which was a nice touch. I did however forget to put the mozzarella and Parmesan until it was almost too late. I scooched a few layers up and snuck it in there. I thought it was more important to get the cheese in there than for the layers to look perfect. Umm let’s discuss how amazing the cream cheese mixed with ricotta is. YUM. 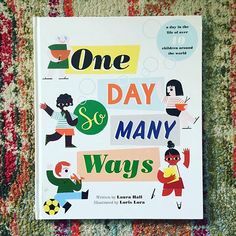 Sooo good and I can’t believe I’ve never thought about it before! It’s a must-try! 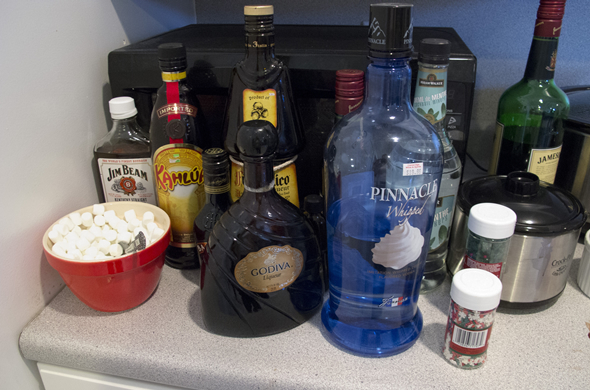 I nixed the sage because I just wanted fewer ingredients in my dreaded grocery shopping trip. 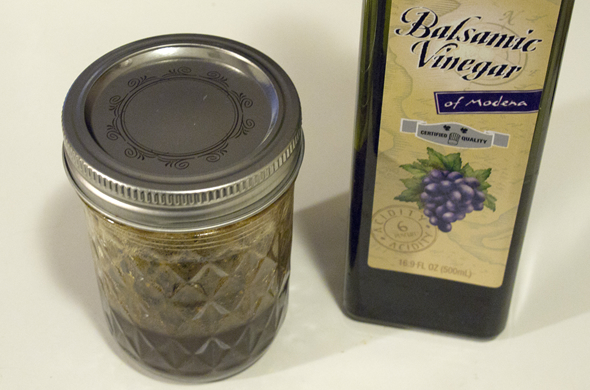 My friend put in some basil instead and we thought that was really nice…lighter than sage. Let’s do a little cost breakdown I’m so into right now! Even cutting larger pieces (6 instead of 9) comes to $2.07 per serving!